Looking for a professional Website? 1st Step to be online! FREE - URL Forwarding & DNS Management with every Domain Name Registration. All Domain prices include GST, and registration for 2 years. Domain FeaturesEvery domain name under management has access to DNS hosting, email and URL forwarding, and ID protection. We offer complete DNS hosting that allows you to add and remove your own records. You can edit Name Server records which control where your Domain Name routed to. 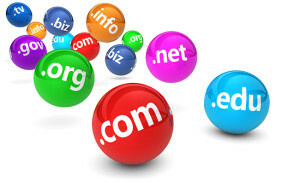 Your domain name registration will be processed as soon as payment has been received. Protect your personal information that is listed on the public WHOIS database on selected extensions. .AU is not eligible for ID Protection. Australian Hosting ServicesAt Visualeyez we offer super fast, reliable 99.9% Uptime Hosting and Domain Name Registration, we make the perfect host for your next website. cPanel Web Hosting with integrated MySQL on a single server providing entry level hosting, Plans from 1GB to 10GB. Dell Cloud Platform Australia's fastest web hosting platform is powered by Dell, featuring Samsung SAS SSD storage arrays for ultimate performance.